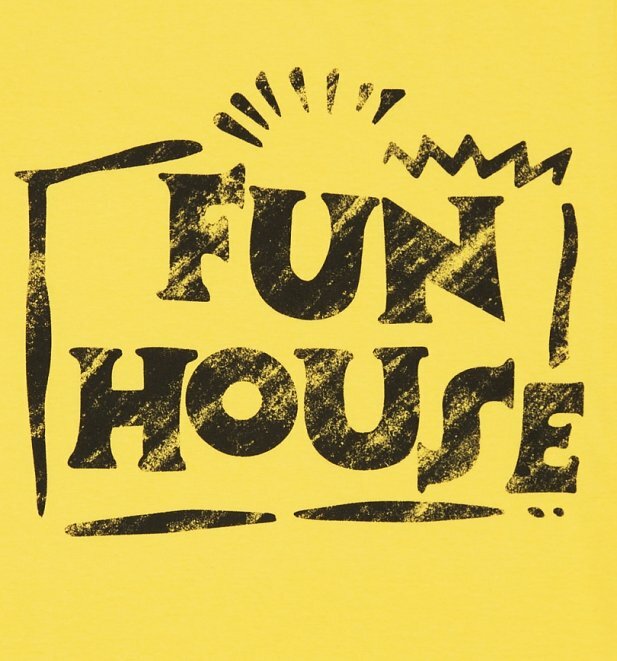 Fun House was definitely one of our favourite '90s TV shows - with its catchy sing-a-long theme, famous set, cheery twins Melanie and Martina and zany host Pat Sharp, whose mullet was almost as iconic as the show itself! 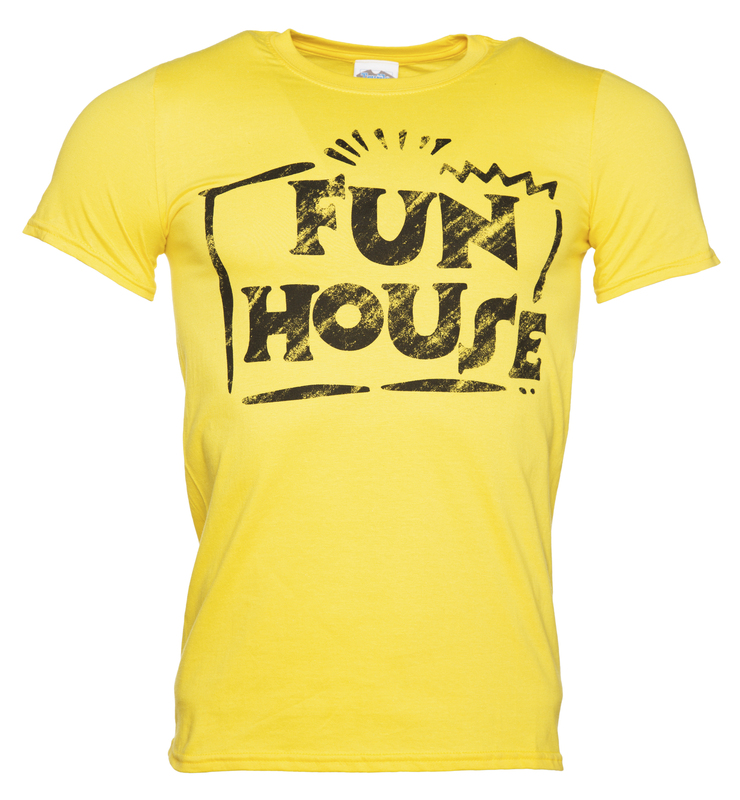 If you agree, look no further than our official Fun House T-Shirt - with the fab Fun House logo and vintage finish on eye-catching yellow, it's packed full of retro goodness. 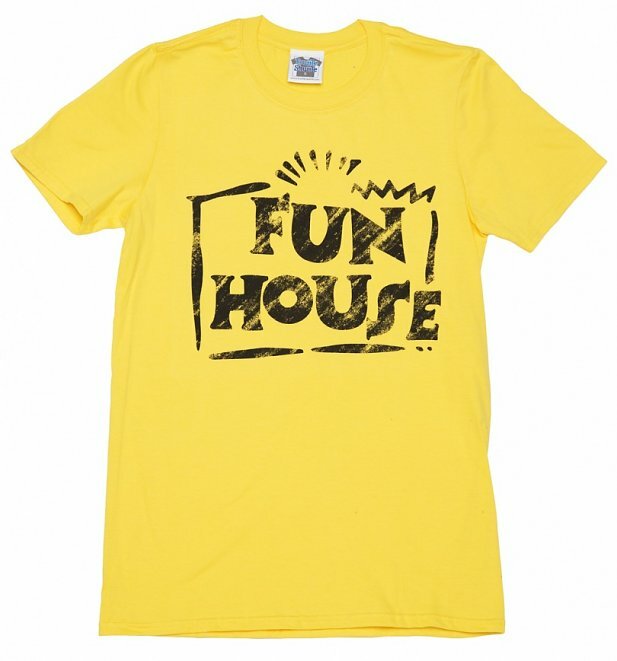 Review: Fantastic product!!! 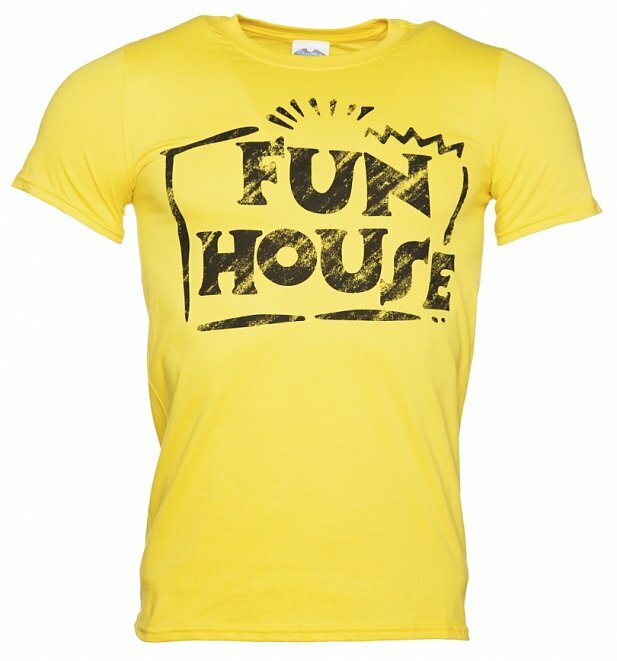 Love it and had compliments all over the place.